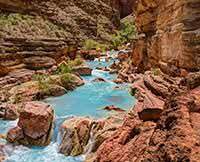 I have hiked the Grand Canyon many times but rafting down the Colorado River was a totally different experience. Grand is an insufficient adjective to describe the Canyon and the experience. The entire package from the Bar 10 Ranch to the helicopter into the Canyon, to the whitewater rafting trip, to camping under the stars, to the delightful food and in-depth information from the Western River guides was so impressive. As a college professor who lectures on earth science (didn't tell the guides), I found the knowledge of Sam and the other guides was on-target and relevant. Historical commentary also brought the old rocks to life. 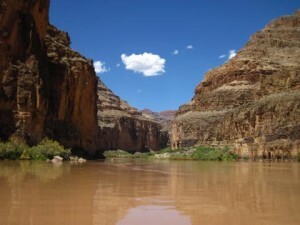 We will do this adventure again - next time on the Colorado River in the upper Grand Canyon, and bringing more than the 7 guests I brought this time.